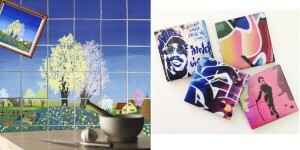 JennoliART custom creation of mosaic ceramic tiles can add a touch of colour to any room. Mosaic tiles or tiny tiles make for an interesting display of your art, design, map, sketch …. 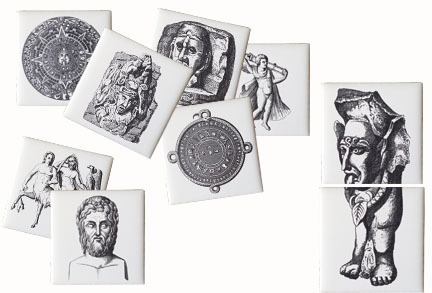 or like the tiles which are inspired by old images of engravings and mythology. The ceramic tiles are wonderful to look at and to think about, real, mystical or ancient! JennoliART has been working for years in the creation and production of custom ceramic mosaic tiles. We take great pride in offering you the highest level of quality control in production and print of our tiles. Create a special mosaic feature for your home by using colours or images complementing your home. Mosaic Ceramic Tiles can be used as accent or specially made feature tiles in your kitchen or bathroom or any other space. The finished mosaic tiles will be numbered on the back and/or delivered with a spreadsheet to ensure they easily can be installed. Bespoke Mosaic Tiles are a unique way to add charm and character to your home. 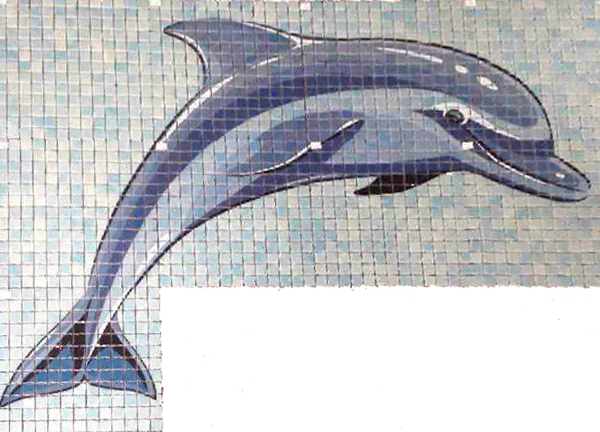 With our unique technique of ceramic printing and kiln fireing, we create mosaic tiles which can be used anywhere in your home, office, restaurant, floor or swimming pool. The tiles are each individully hand finished, they are extremely hard wearing and the colour will never fade. Our little tiles can be custom printed to ensure your project is totally unique and exclusive. The process is easy and we support you in the creation of your custom made ceramic mosaic tile? Please email us your design to ensure we can create the perfect ceramic tile or mural for you. A preview or draft of your tile will be emailed to you. Any changes can be applied or correction can be made. In house print process ensures consistency of your tile. Product quality control, we check every single tile before we send them out. No minimum order quantity required, we print one tile or one thousand. Samples can be produced for the price of a tile and delivery cost. Fast turnaround times if needed, otherwise approx. 2-4 weeks until your order is ready for dispatch. It is important to chose the correct tile for your tile art project. Wish to receive more information about our mosaic ceramic tiles or need a quote? As every customer has its own personal requirements, we provide a quotation on the work requested. or call on 02 99811009 to talk to us personally. 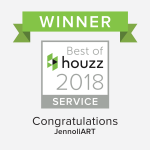 At JennoliART we create stunning art tile murals by installing custom-made, decorative mosaic ceramic tiles in places where normal art or wall paper would suffer. They were beautifully packaged, so they arrived very safely! And they look fantastic, so we can’t wait to add them to the wall with the previous years’ tiles. I will send a photo, after we get them on the wall. So glad we found your business!! We will get our ‘graduating’ children to do drawings again this year, so would you please send us Tile drawing paper for 35 tiles?